Thanks for the exhaustive list, spl383! FWIW, Mahle is the OEM filter supplier for BMW, and I have been using their filters for many years now, without an issue. Add Fram PH6017A to the list. $6.97 @ Walmart. Purolator PL/PBL14612 fit, although I've seen some lately with the convex base. Sorry- what is this 'convex base'? And I have been using NAPA 101000 (SL10000) as it is listed as a direct replacement for the K&N 204. On my 3rd one now. A NAPA Gold 1358? Odd. That is what I used on my Goldwing for about 10 years! It also fits the Honda Super Blackbird 1100. See the pic. 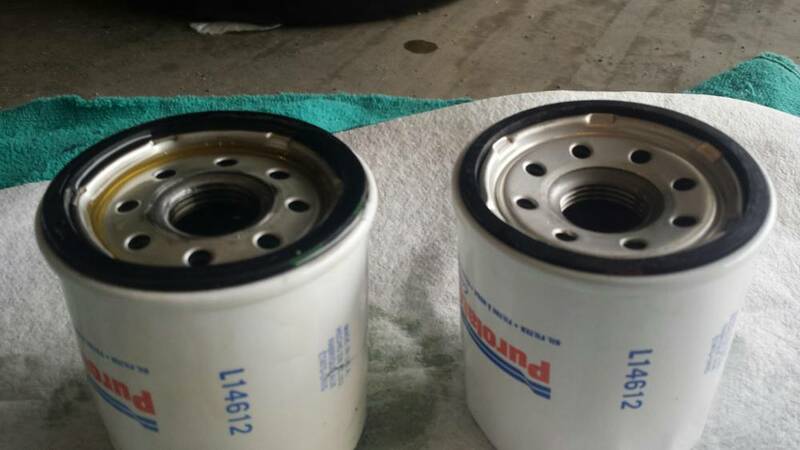 At some point a couple of years ago, and for reasons yet to be revealed, various oil filter OEMs started changing the base plates on their filters to the shape on the left (see how it bows out towards the end of the filter...convex), when in the past they all had a shape like the one on the right (see how it bows inward, away from the end...concave). 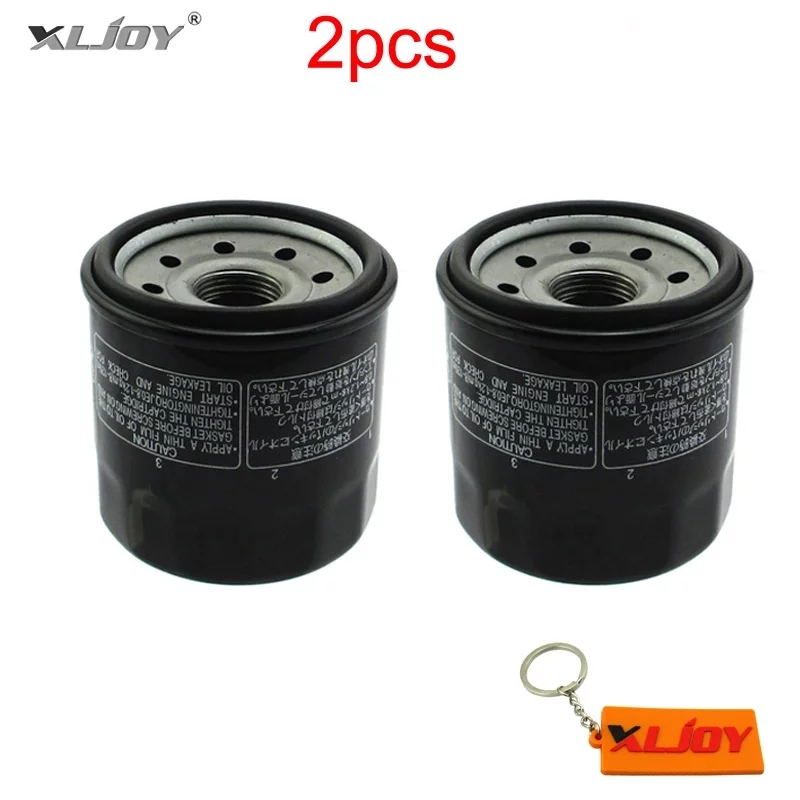 The convex plates can bottom out on some motorcycle motors (many) causing an insufficient amount of tension on the seal, and thereby, leaks. Not all bikes exhibit problems. My CR1100XX did not have any problem with the newer filters, but my Super Tenere did. I haven't tried one on the Trophy, but there's no reason to, since the Mahle (very high quality filter) and the K&N (perfectly fine quality filter) both have the concave plate. The pic is an example of the transition; these are both the exact same model of Purolator filter, before and after the change. Also, regarding the post above, the Fram filter PH6017A has the convex plate, and as such is not recommended. Also, when using that long cross-ref list, be sure to check the plate before buying any of those. Most have transitioned to the convex plate. The Mahle OC575 is a great option, being high quality and cheap. Also the Triumph/Wix OEM jobber is excellent too. One note I meant to mention: it is definitely not universally true that if it has a convex base plate, then it won't work and that's that. If you feel like experimenting, you can tell when you install it if it's going to work. When you tighten it by hand, you can always feel the o-ring hit the case. Then, you keep turning it and gradually squish that o-ring until you're satisfied that it's tight. But even at that point, you could still keep turning it and smooshing that o-ring. If your filter bottoms out because of the convex base plate, this doesn't happen. You'll turn it after the o-ring hits, then you'll run into a hard-stop when the plate hits the case, and that's that. If this happens, do not use the filter. If it doesn't happen, still be vigilant, just in case, but it should be ok. Yesterday I purchased below filters. Indicated as HF-204 and seems like concave shaped. Hope fits well. I personally wouldn't try to save $3 by buying generic Chinese filters when you can get known-to-be-excellent Mahle filters for a few bucks more ($7.50 or so each from Amazon), but apart from that the plate is the right shape.